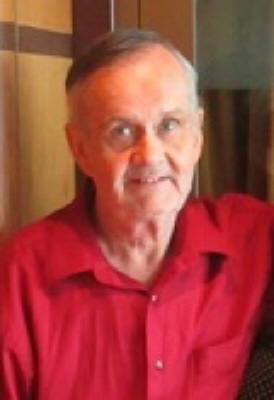 Beverly - John Andrew Ouellette 71, died Thursday, February 7, 2019 at the Beverly Hospital. Born in Beverly, he was the son of the late Wilfred E. and Elizabeth (McCaully) Ouellette. He was raised and educated in Salem. An honorably discharged veteran, he served his country during the Vietnam Era as a member of the United States Navy. As a young man, Mr. Ouellette owned and operated the Pewter Pot Restaurant in Reading. He later worked as a chef at the Herrick House Assisted Living in Beverly until the time of his retirement. A longtime resident of Beverly, John was a member of the American Legion and an active member of the Beverly Senior Center. He is survived by his daughter, Karllee M. Hunt of Peabody, a son, Michael W. Ouellette of Swampscott, his longtime girlfriend, Lydia Trout of Beverly, two sisters, Doreen Ouellette and Doris Pomroy both of NH, a brother, Eugene Ouellette and his wife, Paula of NH and several nieces and nephews. He was also the brother of the late Karl Oullette and brother-in-law of the late Donald Pomroy. His funeral service will be held at the Campbell Funeral Home, 525 Cabot Street, Beverly, Monday, February 11, 2019 at 12 noon. Relatives and friend are invited to attend. Burial in Central Cemetery, Beverly. In lieu of flowers, contributions may be made in his memory to Sweet Paws Rescue . Information, directions, condolences at www.campbellfuneral.com . To send flowers or a remembrance gift to the family of John Andrew Ouellette, please visit our Tribute Store. "Email Address" would like to share the life celebration of John Andrew Ouellette. Click on the "link" to go to share a favorite memory or leave a condolence message for the family.